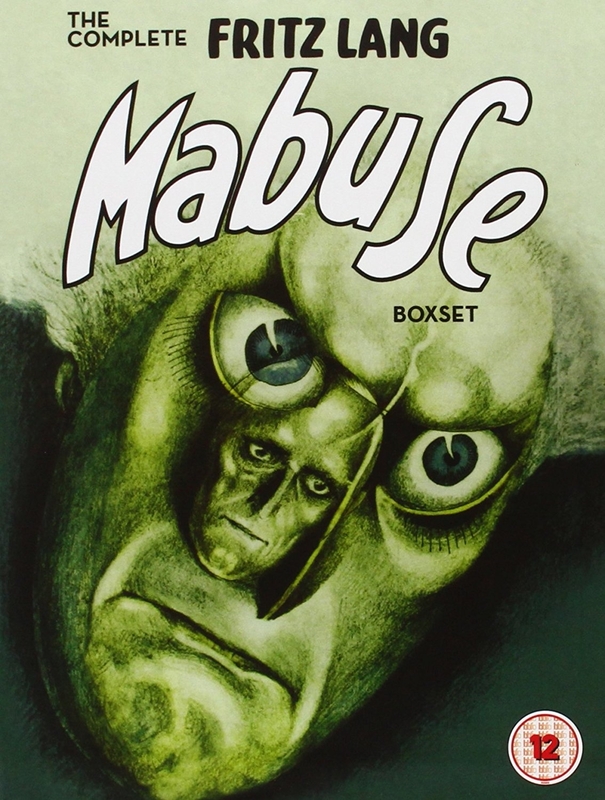 Fritz Lang's trilogy of thrillers following the evil exploits of criminal mastermind and terror-monger Dr Mabuse. Fritz Lang's trilogy of thrillers following the evil exploits of criminal mastermind and terror-monger Dr Mabuse. Fritz Lang's trilogy of thrillers following the evil exploits of criminal mastermind Dr Mabuse. The three films, which were made over a 40-year period, are considered cornerstones in the career of one of cinema's most celebrated directors. Films included are: Dr Mabuse, der Spieler (Dr Mabuse, the Gambler) (1922), Das Testament des Dr Mabuse (The Testament of Dr Mabuse) (1933) and Die 1000 Augen des Dr Mabuse (The 1000 Eyes of Dr Mabuse) (1960). This 4 disc box set is packed with extras and includes three accompanying booklets. An alternate ending to Die 1000 Augen des Dr. Mabuse taken from the French print of the film. Optional English-language dub track for Die 1000 Augen des Dr. Mabuse. Three lengthy booklets containing anew translation of Fritz Lang's 1924 lecture on 'Sensation Culture'; an essay by critic and scholar Michel Chion on the use of sound in Das Testament des Dr. Mabuse; new writing on Die 1000 Augen des Dr. Mabuse by critic David Cairns; extracts from period interviews with Fritz Lang; an abundance of production stills, illustrations, and marketing collateral and more!